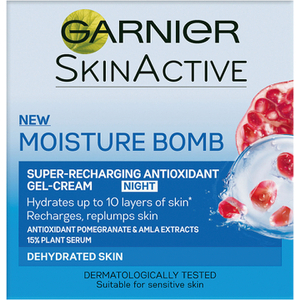 Achieve replenished, radiant skin with the Garnier Moisture Bomb Super-Hydrating 3-in-1 Moisturiser SPF10. 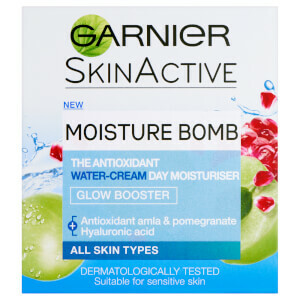 Tactfully crafted with diligent caring additives, the rich, dense formula applies intense levels of hydration to the skin, allowing the body to receive full cleansing and enrichment. Aplique generosamente no rosto, assegurando-se de que todas as áreas sensíveis ficam cobertas. Para melhores resultados, aplique diariamente.